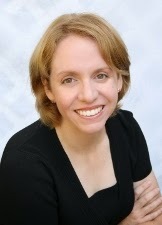 It is my pleasure to welcome Georgie Lee back to the salon, on the matter of class! The plot of my latest novel, A Debt Paid in Marriage, involves the daily lives of the middle class of London. The middle class consisted of prosperous tradesmen, merchants, bankers, solicitors, shop owners and anyone else who wasn’t among the laboring classes, the poor or the aristocracy. It wasn’t easy doing research, or uncovering the details of their everyday lives. The public’s fascination with the rich and titled, which hasn’t changed much in the two hundred years since the Regency, meant the scandals and habits of the ton were well documented in letters, newspaper articles, diaries and biographies. The newspapers weren’t as interested in the lives of drapers, unless there was something scandalous going on, which wasn’t usually the case. Teasing out the details of how the merchants of London spent their days was difficult but fun. In many ways, the habits of the upper echelons of the middle class mimicked those of the wealthy. They had nice houses, they sent their sons to school, owned fancy coaches, and employed servants including footmen, cooks and a butler. It wasn’t just the manners of the upper class they mimicked but their vices too. Prosperous merchants were known to frequent the gambling house of George Smith, George Po and Co in St. James’ Street. Here they could spend their hard earned money and risk landing themselves in debtor’s prison. In a time when ruin could mean a severe drop in the quality of life, or death by jail fever, and without the great manor houses, land and titles to prop up their fortunes, gambling was a risky habit for a merchant to acquire. Another expensive pastime was keeping a mistress, which men of the upper middle class, and sometimes even a solicitor’s apprentice, sometimes did. While the above pastimes were enjoyed by those of the middle class who possessed a great deal of money, the more middling sort lived much simpler lives. They worked for a living and had to concern themselves with matters of business if they wanted to remain in the middle class and not slip into poverty. Women played a much larger role in the merchant class, helping their husbands at the counters of shops and often running the business in the event of his death. The famous wine merchant Berry Bros. and Rudd was not only founded by a woman, but her daughter, Elizabeth Pickering, ran the business after her husband’s death. Men who owned and ran inns expected their wives and daughters to help, as the famed country beauty Mary Butterworth in the North of England did before she fell prey to the charms of a bigamist. A merchant’s life could be an arduous one. Those in trade often began their careers at a young age, somewhere between eleven and fourteen, through an apprenticeship which could last up to seven years. This wasn’t an idyllic time, but one of hard work and toil where they not only learned the business but did most of the menial dirty work. The tradesmen who took in apprentices had to look after them and provide room and board. These duties were on top of their numerous other responsibilities and worries, and they had a lot to worry about. Clients often failed to pay their bills, thieves were a constant problem and bankruptcy an ever present threat. Even if all went well where bills and shoplifters were concerned, the merchant’s day was a long one. Shops often opened early and might remain open until nearly ten o’clock at night. It wasn’t an easy life, but it offered more prosperity than those in previous generations had known. Industrious people in the middle class could do well for themselves and their families, provide opportunities for women, and if they made enough money, allow them to live like the other half. Laura Townsend's plan to reclaim her family's merchandise backfires when she creeps into moneylender Philip Rathbone's house and threatens him with a pistol, only to find him reclining naked in his bath! The last thing she expects is to see this guarded widower on her doorstep a couple of days later armed with a very surprising proposal. A marriage of convenience may be Laura's chance to reclaim her future, but she won't settle for anything less than true passion. Can she hope to find it in Philip's arms? A lifelong history buff, award winning author Georgie Lee hasn’t given up hope that she will one day inherit a title and a manor house. Until then, she fulfills her dreams of lords, ladies and a season in London through her stories. When not writing, she can be found reading non-fiction history or watching any movie with a costume and an accent. Please visit www.georgie-lee.com to learn more about Georgie and her books. Written content of this post copyright © Georgie Lee, 2015. Hmm, interesting dichotomy of cover and blurb.... or does she end up with a young apprentice or relative of his? Thank you for a fascinating insight into the life of the middle classes, Georgie. 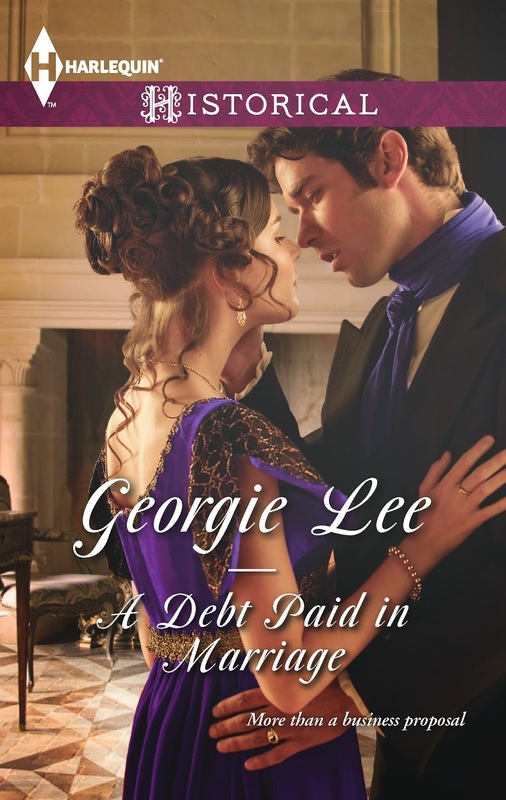 It will stand me in good stead when I am reading A Debt Paid in Marriage. Great post! I, too, love the middle class in all their glory. So interesting to me. Now, I'm going to share about your post and your book. I should have said, what an interesting visit to the middle classes, who were, when all is said and done, largely responsible for Britain's pre-eminent position in world trade at the time, the backbone of the empire. So frequently made fun of by the aristocratic denizens of the Regency novel, and yet so essential.